WE NEED YOU! VOTE FOR US AT THE WEDDING GUIDE UK AWARDS! Here at The Insurance Emporium, we’re proud to say that we’ve joined countless couples on their adventure and helped to protect multiple magical wedding days over the last year! We love being able to offer our Wedding Insurance products to those who are about to embark on the most amazing day of their lives! The magic doesn’t stop there however, as we have some incredibly exciting news to share! We’ve been nominated for The Wedding Guide UK’s North of England Wedding Awards! 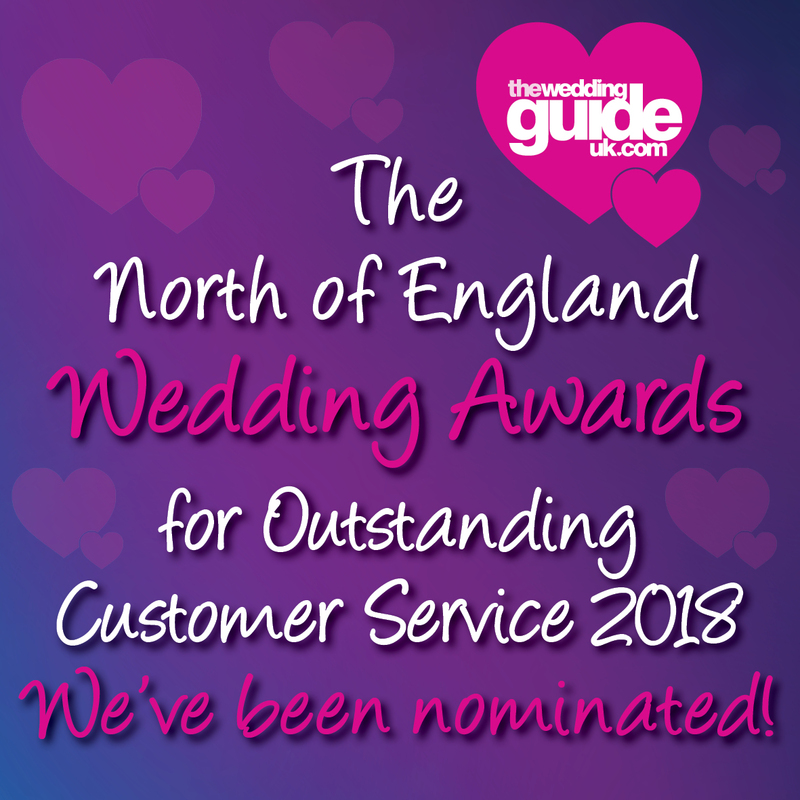 The Wedding Guide UK organises the North of England Wedding Awards on a yearly basis in order to recognise the businesses and people that try to help make your special day truly the day of your dreams. There are 18 different categories at the awards, all aiming to recognise businesses that operate in the wedding industry, from florists through to venues, that go above and beyond to help create magical occasions. This is where you come in! The voting is open to couples who have recently been married and you can only vote for us if you bought a policy from us. We’re thrilled that you chose to insure your big day with us and would love for you to take the time to vote! If you’ve insured with us and your wedding was between 1st June 2017 and 25th July 2018, you’re eligible to vote for The Insurance Emporium and help us on our way to glory! All you have to do is head to theweddingguideuk.com and click ‘Yorkshire’. You’ll be able to scroll to the bottom of the page and find us under ‘Wedding Services’. We hope that our Wedding Insurance helped to provide you with the peace of mind that you needed on your wedding day and, fingers crossed, you didn’t have to claim but, if you did, we really hope it was a smooth journey! We’d really appreciate you taking a few moments out of your day to show your support for us! This is a good question! Your wedding should have been one of the best days of your life and been the culmination of months, even years, of planning. We sincerely hope that the service you received from The Insurance Emporium was of the highest standard and helped to make your day even more memorable. If you were happy with our service, we’d love for you to show your appreciation by voting! Awards season is an exciting time and we really are over-the-moon with our nomination! We know that we couldn’t have done this without the help of our wonderful customers, so we’d like to thank you all for covering your special day with The Insurance Emporium in the last year! Remember, if you want to help us take home the award, you just have to head to The Wedding Guide UK and select The Insurance Emporium! All content provided on this blog is for informational purposes only. We make no representations as to the accuracy or completeness of any information on this site or found by following any link on this site. We will not be liable for any errors or omissions in this information nor for the availability of this information. We will not be liable for any loss, injury or damage arising from the display or use of this information. This policy is subject to change at any time.